The national president of the Equatorial Guinean Judo Federation (FEGUIJUDO), Jose Nguema Biyogo, the provincial secretary of Litoral, Damaso Oyono Mboho, and the provincial coach, Diosdado Envo Edoho, among others, met on the afternoon of Monday, December 29, at the Nkoantoma Stadium Sports Center in Bata. This meeting aimed to make delivery of necessary materials, and coordinate new exhibitions organized by the FEGUIJUDO, which may be presented at the next competition of the African Cup of Nations (CAN) 2015 Equatorial Guinea. At the same time, during the meeting information was provided about the project called Judo for Peace, with the participation of thirty judokas from different modalities and the male and female categories. The project lasts three years and is funded by the Equatorial Guinean Government and the International Judo Federation. In this event, Nguema Biyogo delivered a total of three hundred kimonos to young judokas, and during his speech, he referred to the support that judo is receiving from the Executive. He also recalled the figure of the Spanish champion Francisco Olivenza, who has announced his upcoming visit to Equatorial Guinea to support the aforementioned project. The counselor of the Embassy of Cuba in Equatorial Guinea, Raul Gonzalez Ala and the Third secretary, Luisa Constantin Torres, were seen off on December 26, after completing their diplomatic mission in our country, in a ceremony presided by Ambassador Pedro Doña Santana. The farewell ceremony of the counselor and the third secretary of the Embassy of Cuba took place on Friday night, December 26, at the embassy in Malabo. Also, Doña Santana expressed his thanks for the congratulations received at the embassy due to the restoration of diplomatic relations between Cuba and the United States; and recognized that the economic, commercial and financial blockade remains the main obstacle to the progress of their country. The ambassador concluded by wishing success and strengthening of bilateral relations between Equatorial Guinea and Cuba. H.E. Obiang Nguema Mbasogo presided over the presentation of two new aircraft of the national airline, Ceiba Intercontinental, which took place on Monday, December 29, at the Bata International Airport. The ceremony was attended by the First Vice President for Presidential Affairs, Ignacio Milam Tang, the Delegate Minister of the Civil Aviation, Fausto Abeso Fuma, the Ombudsman, Marcelino Nguema Onguene, and the Secretary General of the Democratic Party of Equatorial Guinea (PDGE), Jeronimo Osa Osa Ecoro, among others. The presentation of the new company planes of Equatorial Guinean took place on Monday, December 29, at the presidential terminal of the Bata International Airport, where many national authorities traveled and the opportunity to access the inside of these modern aircraft acquired by Ceiba Intercontinental. The event also had the speech of the President of the Republic and the Delegate Minister of Civil Aviation, Fausto Abeso Fuma. At the end of the speeches, they proceeded to cut the inaugural ribbon, and then the authorities visited the aircraft: the Boeing 767-300, named Kie-Ntem, with capacity for 240 passengers and the Boeing 737-800, called Evinayong, with 146 seats. These planes will supplement the fleet of the Equatorial Guinean company, which currently has nine planes. The President of the National Commission on Human Rights stated in his speech that Equatorial Guinea is added as a international subject with full rights and a member of the UN in this commemoration which establishes the universal values of the human person. He also appealed to all the national social calsses to reflect on the importance and scope of respect for human rights in our society, as well as the achievements obtained in achieving a society of peaceful and stable coexistence, thanks to the first defender of these rights, H.E. 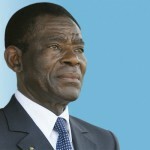 Obiang Nguema Mbasogo. He further stated that the Basic Law is the legal framework to ensure coexistence and establishes those fundamental rights in Article 13, which is a pact of coexistence that all must follow in order to continue strengthening our rule of law. In the same sense of guaranteeing the rights of Equatorial Guineans, the Chamber of Deputies and the Senate, under Article 123 of the Basic Law, just elected the Ombudsman, which ratified by the President of the Republic the responsibility goven to Marcelino Nguema Onguene. This step placed us in a unique position in regards to respect for human rights for being the first African country to create that figure. Finally, he took the opportunity to praise the determination of H.E. Obiang Nguema Mbasogo to establish a society that is more just, balanced and respectful of human rights. 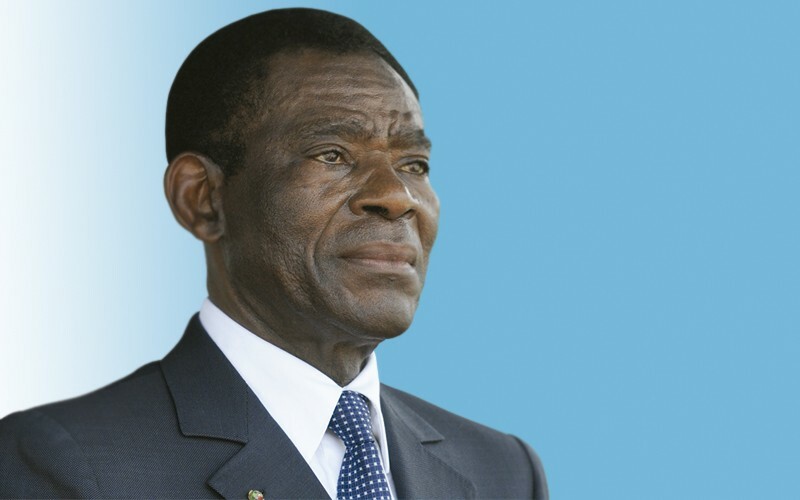 Attached to this article is the full speech of the President of the National Human Rights Commission of Equatorial Guinea, Gaudencio Mohaba Mesu. On December 2 a press conference took place in the conference room of the Press Club in the Belgian capital, Brussels, to present the charity dinner to stop Ebola, to be held on December 12, organized by the Association of Wives of African Ambassadors in Belgium (AEEAB), in collaboration with the Embassy of Equatorial Guinea in Brussels. The aim of the organization of this dinner is to raise funds to alleviate the devastating effects of the Ebola virus, which has killed over two thousand people and is a major threat to the world. Perseveranda Mangue was accompanied by the president in Belgium Doctors Without Borders, Meinie Nicola, who explained what the current health situation is in the West African region, prevention methods, measures being taken and training of specialized personnel that is helping to mitigate the effects. Also present at the press conference were representatives of the embassies of the countries hardest hit by Ebola and beneficiaries of the funds raised at the gala. The directors of the embassies of Liberia and Guinea Conakry, as well as the press attaché of Sierra Leone, offered updated data about their respective countries and preventive measures that their governments are taking. The AEEAB is giving the final touches to the preparations for the dinner, whose organization is a success. They have already received RSVPs by important guests such as the Director of Sub-Saharan Africa of the Belgian Ministry of Foreign Affairs, François Cornet, and the Director of Protocol of the Government, Rudy Huygelen, and the State Chief of Protocol of the Royal House. The event will be hosted by the last Miss Africa Belgium 2014, Esther Tshiaba, and the singer Mori Kante, of Guinea Conakry will be responsible of livening up the evening. The agenda of charitable activities around this event also covers the charity football match held on December 6. This World AIDS Day, Equatorial Guinea was recognized by The White House, through the presence of American oarsman Victor Mooney. Mr. Mooney became the first African American to row across the Atlantic Ocean, to honor his brother who died of AIDS and to encourage voluntary HIV testing. The oarsman’s vessel, christened The Spirit of Malabo, was sponsored by The Republic of Equatorial Guinea with added support of H.E. 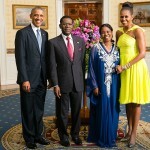 Mbasogo Obiang Nuguema, Head of State. The White House event was attended by Secretary of State, John Kerry, National Security Advisor, Susan Rice, PEPFAR Ambassador Deborah Birx, MD and other officials, doctors, ngo’s and advocates. In remarks, Secretary of State, John Kerry said, “We’re not done yet. That’s the message that comes out of here from the President and from everyone in this Administration. With the commitment of every person in this room, we can achieve an AIDS-free generation, and we can silence the armies of pessimism and cynicism and the indifference who said it could never be done. We can and we will defeat this horrific disease, and I’ll tell you, that is a charge worth fighting to keep”. The Republic of Equatorial Guinea (República de Guinea Ecuatorial) is the only Spanish-speaking country in Africa, and one of the smallest nations on the continent. 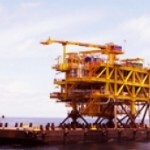 In the late-1990s, American companies helped discover the country’s oil and natural gas resources, which only within the last five years began contributing to the global energy supply. 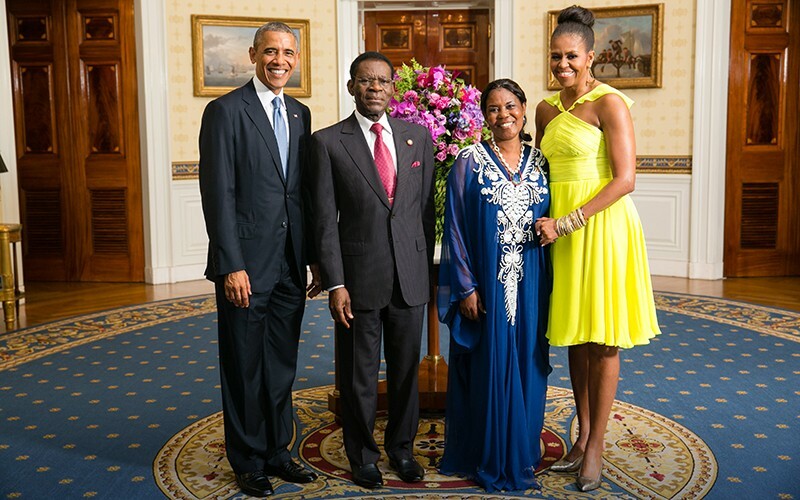 Equatorial Guinea is now working to serve as a pillar of stability and security in its region of West Central Africa.